As a follow-up to the previous post, here’s another nest-box installed as part of the fire-recovery project. We noticed signs of gnawing around the entrance hole and thought we should check inside it, even though it had only been installed fairly recently. Sure enough, inside was a huddle of Sugar Gliders (Petaurus breviceps) snuggled into a nest of eucalyptus leaves – what better way to spend a cold, foggy day in Strath Creek?! At a very informative nest-box forum held at Violet Town recently, high occupancy rates ( up to 80%) were reported for areas around Lurg/Greta, Warrenbayne/Boho and Whroo/Goldfields in Central Victoria. 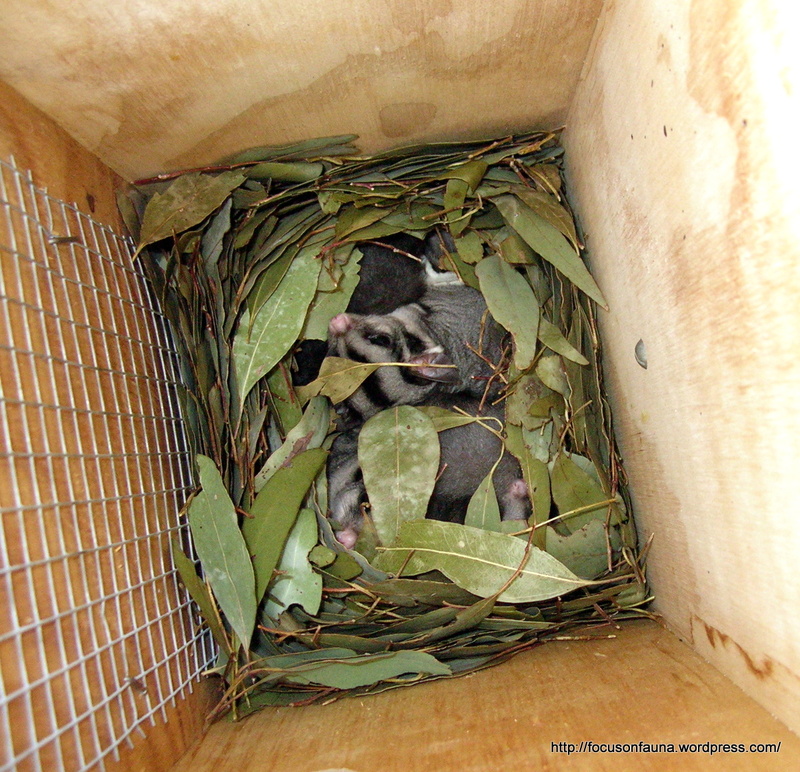 As one of the presenters said, “… you can never have enough nest boxes!” That certainly applies in our area where so many old hollow-bearing trees were destroyed in the Black Saturday fires. 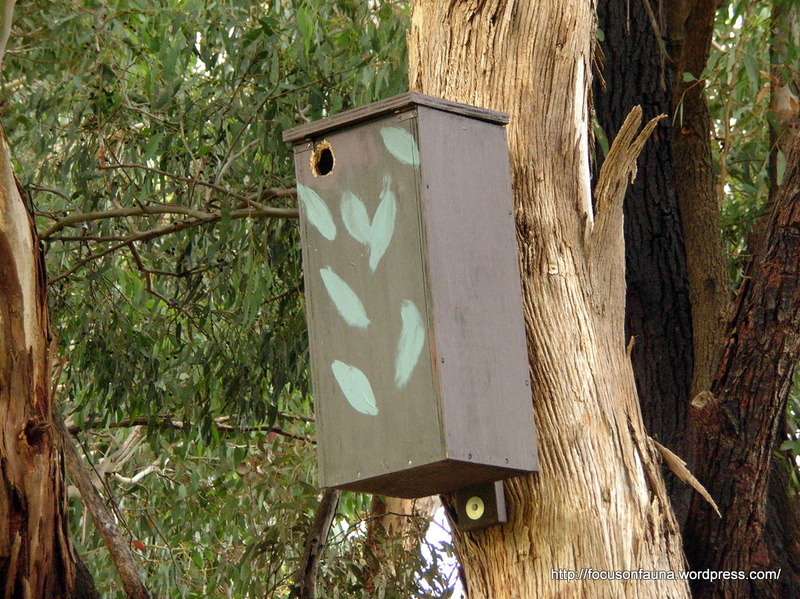 Click HERE for more information about nest-boxes in the Strathbogie Ranges. Fabulous to see the animals using the nest boxes! Well done to you all for providing an alternative home for so many needy creatures.